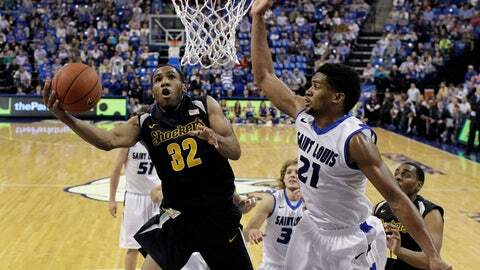 Wichita State and Saint Louis are among the many mid-majors capable of making NCAA Tournament runs this season. Upheaval is upon us. Welcome your new small-school overlords.This season’s batch of mid-major programs looks poised to uphold the recent tradition set by George Mason, Butler, VCU and Wichita State, and big-name programs keep tripping up — or, at the very least, struggling to keep their heads above the rising tide. As has been discussed ad nauseam since the 36-year-old took over for John Calipari at Memphis, 25- and 30-win seasons mean very little with a C-USA strength of schedule and zero appearances in the NCAA Tournament’s second weekend. Well, it took 14 attempts, but he’s got his first win over an AP ranked team. Now, the Tigers can look ahead to a stiffer American Conference slate to prepare them for March. Perhaps this is where the difference lies if the Tigers can find postseason success this time around, because they’ve taken on difficult non-conference challenges in previous seasons under Pastner. (Memphis took on Belmont, Michigan, Tennessee and Georgetown consecutively just to tip off the 2011-12 season; last season the program played VCU, Minnesota, Louisville and Tennessee out of conference. This is nothing new.) However, there’s a distinct possibility that the C-USA slate did not adequately prepare the Tigers’ talented group of players come tourney time. That could apply to any C-USA team, as the league has just registered one NCAA Tournament win since John Calipari’s 2009 Memphis team. Over the final five minutes of the top-10 showdown — "clutch" time, for some — Parker, the true freshman sensation out of Chicago, took shots on five of the Blue Devils’ 13 remaining possessions. He also served as a primary option on an additional three possessions (face-up isolation kickout; screener on pick-and-roll; dribble-drive kickout), bringing his grand total up to eight of 13 possessions that Coach K looked to him to deliver.